WÜRTH is your specialist for assembly and fixing materials. With more than 15,000 high-quality products for industrial needs and craft heritage. We can meet the requirements of different sectors and projects, always with the clear focus on quality and service. Since the company was founded by Adolf Würth in 1945, WÜRTH has become an internationally successful supplier of assembly and connecting materials, technical chemical products, workwear, storage systems and more. Now, as back then, Würth is a family business that meets the high demands for professional work with a forward-looking product strategy and close proximity to customers. 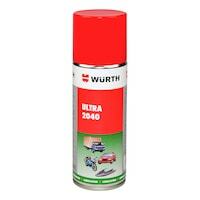 The WÜRTH online shop is open daily around the clock, where our entire product range is available. 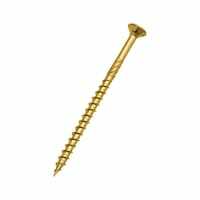 By ordering online you are able to purchase regardless of time and place, for delivery directly to the construction site or workshop. You can now even order for a collection in your nearest Trade Store. We aim to support your projects and business not only with our products, but also with our competent consulting service and special system solutions for businesses. Rely on competence, quality and experience. If you want to buy all assembly and fixing materials for the most demanding jobs reliably from a single source and in the best quality, WÜRTH is your ideal partner. Würth is the world leader in trade in assembly and fastening materials with a presence in over 80 countries worldwide. We support customers in trade, construction and industry throughout Great Britain. For many professionals, we are a long-standing, trusted partner. Among many others, we supply: Maintenance workshops, Construction sites, Industrial enterprises, Car companies, Construction professionals, Agriculture workshops, Engineers and architects, Carpenters, Installation industry, Painters and decorators. We attach great importance to the fact that the one-man craft business can provide products and services just as professionally as global industrial companies. With our diverse customer base and our wide range of products, we continually look to adapt ourselves to the practical requirements of our customers. Our proximity to customers, our high quality standards and not least our pursuit of innovation and product development to ensure we meet the expectations of around three million customers worldwide. In Great Britain and around the world, professionals rely on products and solutions from WÜRTH and for good reason: our extensive product range offers not only wood screws, dowel equipment and hardware, but also everything you need for tools, materials and equipment for projects of all sizes. Personal Protection: With robust, resilient workwear, safety shoes and head protection, you will be well equipped to work on site. 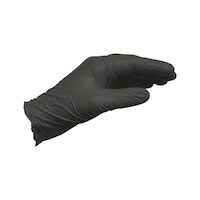 We are also able to supply high quality protective gloves, masks, goggles and much more. 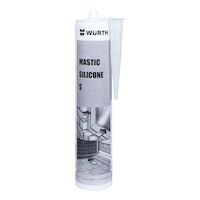 Building supplies: WÜRTH has it all for renovation, refurbishment and interior fittings from a single source. Whether it is insulation work on the roof or on the facade, window and doors, dry building materials or building terraces - we have the tools and consumables to suit your professional needs. Material Processing We carry all the supplies you need for your workshop, for your customer or on site. 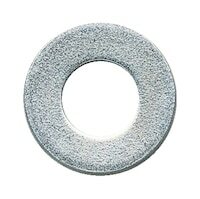 We have sandpaper, drills and taps to saw blades and cutting discs in a variety of sizes. Working Equipment: Good organisation is everything - we have efficient warehouse systems, tool cases and workplace equipment plus many other practical items, so that your operation runs smoothly all the time, every time. WÜRTH has a range of welding tools and related accessories, such as welding goggles for daily use in the workshop, but also high-quality welding equipment and compact battery welders for on the go maintenance and repairs. Hand Tools: Whether for the small workshop or a large project, you need the right tools for the job. 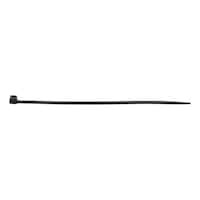 From screwdrivers and spanners, drills and drill bits for masonry and drywall work to industry-specific tools such as bodywork tools and specific automotive tools Würth has the right tool for your job. Our goal is not only to provide the widest possible range of the highest quality, but a product range that is precisely tailored to the needs of our diverse client groups. That's why we develop our products in direct cooperation with our customers and are constantly upgrading our products. From large-scale enterprises to independent craftsmen, customers across the country rely on WÜRTH - because we know that every industry has its peculiarities. As a specialist in the different branches of industry, we know the challenges of our customers. Therefore we have become competent in a wide range of industries. We offer sector-specific advice via our friendly, local sales consultants in our trade stores and also around the clock in the WÜRTH online shop. 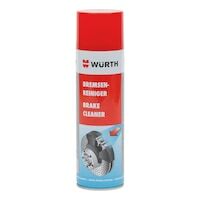 Trade Stores: Throughout Great Britain you have WÜRTH trade stores available to meet your urgent needs, to seek professional advice or to collect your online click and collect order. Online Shop: The WÜRTH online shop offers around the clock, every day of the week access to over 15,000 quality products. Depending on how quickly you need your order, select the delivery method to suit you: Standard order: Delivery within 24 hours (location dependant). Click and Collect: Online shop order that you can collect in one of our trade stores after 60 minutes. The reason for our continued international success is our quality, initiative, our forward-thinking product strategy and not least an accurate sense of what our customers need to do their jobs faster and more efficiently. Our service alongside flexible ordering and delivery options and individual system solutions for businesses also have a big part to play. Würth UK employs over 500 employees, of which more than 400 are sales representatives. With 10 trade stores and growing, we have a presence throughout Great Britain. Worldwide the Würth Group has more than 70,000 employees in more than 80 countries who look after daily needs of our customers. Why not see what opportunities are available to have a career with a world leader in assembly and fastening materials and apply to one of the many places that we offer. All prices in GBP excl. VAT. | Offers subject to change.